Dahlias are the flagship of Aylett Nurseries. Having won numerous awards for their excellence, this stunning plant are the foundation of our nursery. But what is this spectacular plants’ story? What are this striking flowers’ origins? Where did it come from and does it have a story to tell? The simple answer is yes. The story of the Dahlia is as colourful as the fabulous blooms we are so fond of today. You say Dahlia, Aztecs say Potato! Yes, it’s true. The Aztecs were no strangers to Dahlias, enjoying them for their sweet roots. During the 16th century the Spanish conquistadors arrived on the scene. In addition to conquering the Aztecs they also brought with them botanists, whose job it was to bring back plants from the New World for Spain. These botanists discovered what we today call the Tree Dahlia, whose flowers are open centred single blooms. The Tree Dahlia has stems that are hollow and can grow to 20 feet or more. They were often used for hauling water or as an actual source of water to Aztec hunters, the Aztec name for the Dahlia was “Acocotli” or water-cane. Over time, Dahlia seeds and tubers were distributed throughout Western Europe from stock grown at the Royal Botanical Gardens in Madrid, Spain. It was the Marchioness of Bute that has been accredited in bringing this flower to the UK over 200 years ago. In the beginning, Dahlias were grown for their tubers, which were used as food similar to the potato, but this never quite caught on. Today, this gorgeous flower remains the National Flower of Mexico where it’s great beauty was first discovered by the mighty Aztec Indians so long ago. 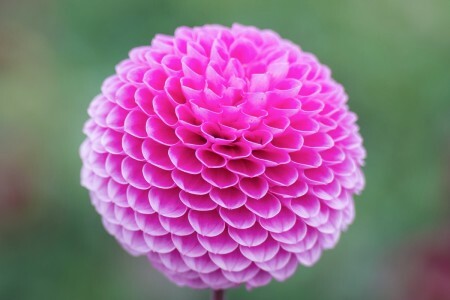 The Dahlia family is large and varied with about 20 different species and numerous cultivars and varieties; all natives of Mexico and Central America. The family takes its name from Swedish botanist Dr Anders Dahl. After 200 years of culture and breeding, today’s Dahlia has one of the largest arrays of forms, colours, and sizes of any flower grown. In this past century alone nearly 50,000 named Dahlia varieties have been developed, listed and registered. More Dahlia hybrids are active now than at any other time in history, which means a rapid addition of new forms, sizes and colour combinations each year. That’s just part of the reason growing Dahlias is such an active and dynamic hobby. 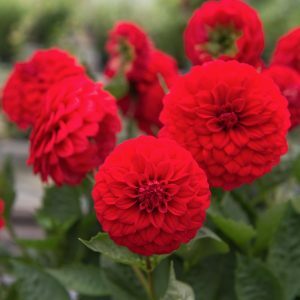 The Dahlia also has one of the longest bloom seasons of any garden flower, which means you will be enjoying gorgeous blooms long after your friends and neighbour’s flower gardens have ended for the season. Dahlias can also be used as cut flowers and although they only last 3-4 days in water, the fantastic colours and shapes make them perfect cut flowers for special events. Dahlias are the beating heart of Aylett Nurseries. We have been nurturing, growing and developing Dahlias for over 60 years. Our stunning Dahlia exhibits have wooed the public around the country and plants have been dispatched to all corners of Britain. We have developed a recipe to get the best results for your Dahlias. At the moment, our Dahlias are at the very beginning of their new life. Tubers have been taken from their winter rest and put on benches on top of compost. Between 8pm and 4am every night they are bathed under growing lights and the atmosphere is kept damp to encourage them to produce new shoots for 2017. It would seem that our green houses have taken on the role of a mass maternity wing for our 60 varieties of Dahlias. 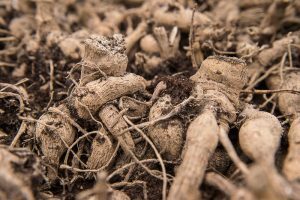 When the tubers have sprouted their new shoots, we will then remove these, encourage the young stems to grow roots and then pot them, ready to be planted out after all frosts have passed. Traditionally we plant our Dahlia field during the 1st week of June to be extra safe. You can be assured that our tubers will never see a chip pan or served with sausages and lashings of onion gravy. We’ll leave that to history and the Aztecs and we’ll do what we do best; growing absolutely stunning Dahlias!